April 2019 – report on new branding. First story in the press about the relaunch! 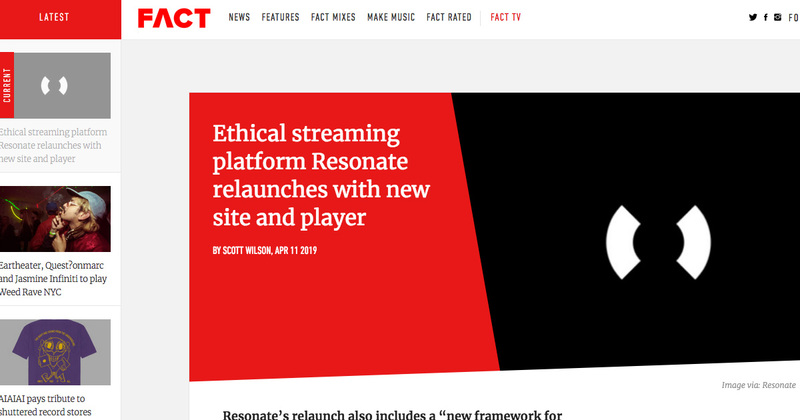 March 2018 – Reflective Ventures’ investment reported by FACT Mag. NOTE: they reference Resonate receiving $1M USD. Technically we received that value in crypto token, but the actual cash value (due to the collapse of the market) was around $600K.